Christmas hasn’t officially been put away at the Samples house yet, even with me on vacation. However, it has been a bit of a bummer not to see all the Christmas lights around town. And it has been a bit of a bummer this year not to see all the animated Christmas specials. Man, we got to see the Santa Clause movies. One, two, three…one, two, three…over and over and over again. Thank you, ABC Family. Now kindly shove those “Pretty Little Liars” reminders out where A&E was planning to put Phil Robertson before most of my Facebook friends found their voice. And we got to see Home Alone. Still not sure how Child Protective Services wasn’t part of the sequels, but hey. It’s Hollywood. I didn’t see Elf, which surprised me. I didn’t get to see the animated Grinch movie. I didn’t see the Charlie Brown Christmas classic, so I was disappointed. And don’t get me started on the Claymation holiday specials. Why those only aired three or four years is beyond me. But I did get to see my all-time favorite, Santa Claus is Coming to Town — and I was fortunate to see it twice. 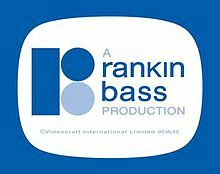 I remember seeing it when I was four or five years old, and to this day I can’t tell you why that Rankin-Bass stop-motion feature is still my favorite. It wasn’t Winter Warlock. Goodness. Before his heart melted, he was flat-out scary. 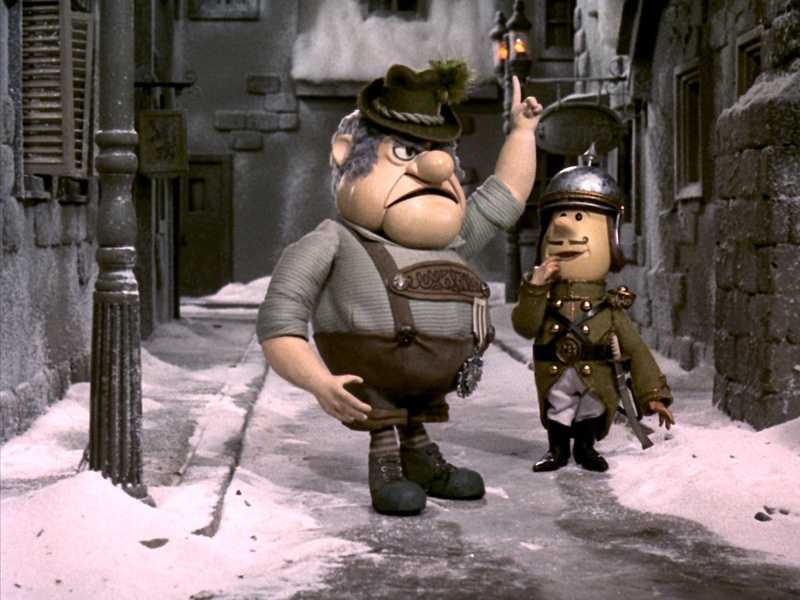 It wasn’t the mean old Burgermeister Meisterburger, piloting Sombertown with all his, well, might. But there was something about the story — how it tied together all the different loose ends to the Santa-based Christmas songs for those of us, like myself, who couldn’t wait for the magic of Santa Claus every year. And there was something to one song which did it for me. “Put One Foot In Front of the Other” was an uplifting little ditty that was pretty corny, but it fit the movie. In fact, I’m a bit shocked it hasn’t entered the holiday music rotation for a lot of radio stations (unless there is some rights squabble, which would be an absolute shame). If it could melt Winter Warlock, that was good enough for me. 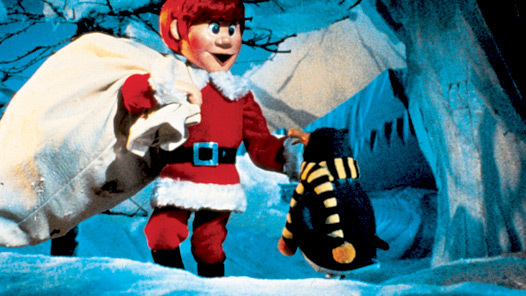 Rankin-Bass put out some other Christmas classics, too. The Year Without a Santa Claus (Snow Miser and Heat Miser were enough reasons to watch the hour-long fun by themselves). Rudolph The Red-Nosed Reindeer. Frosty the Snowman. Bot none of those connected with me the way Santa Claus is Coming to Town did. And, frankly, it was more about persistence and just trying than anything directly connected to Christmas. I didn’t notice it as a child, as a teenager or even a young adult. But the song is all about taking the first steps to changing your heart. That’s the opportunity given to each of us every day, but especially on Christmas. It’s really a gift as much as an opportunity to be reborn, to be better, to follow the example given to us in a newborn child more than two thousand years ago. And all you have to do is put one front in front of the other, push forward, and never look back at what you left behind. It’s a pretty good message with a catchy tune, I’d say. Mother’s Day will strike soon at the Samples household. French toast in bed for Mom, pancakes for Bella. Much-needed rest and time away, both physically and mentally, from employment matters. Gifts of appreciation which don’t come close to expressing the love, respect and admiration I have for my wife and the mother of our child. It’s going to be a great day. But I have been bothered by something quite unrelated to our family matters with Mother’s Day now just a short time away. On Monday, word started trickling in about a homicide in Franklin County, Kan., roughly 50 miles away. At first, I didn’t pay much attention to the case, even as the single death became three the next day. Ottawa is fairly close, but it’s out of KVOE’s coverage area — and with several things both on air and behind the scenes needing urgent attention, I moved on. That changed Wednesday, when the person allegedly responsible for those killings and the presumed death of the 18-month-old daughter of one of the victims was discovered in Emporia. Suddenly, from a news perspective, this was of high interest locally. As I was looking for background on the case, I also began looking for the relationships involved. 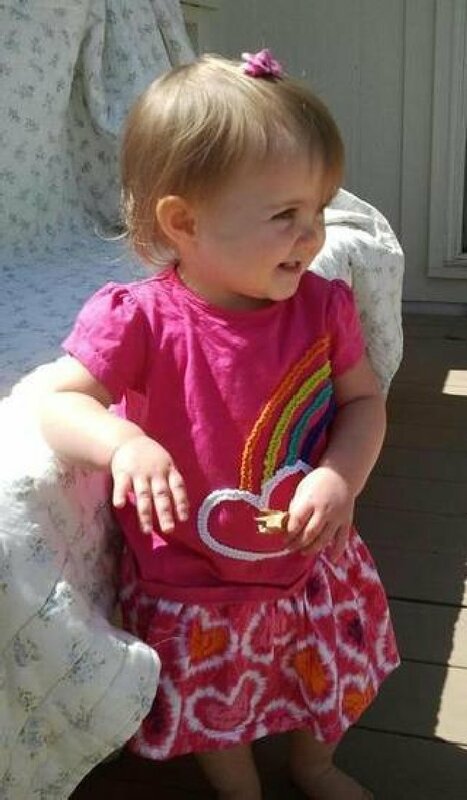 It was sometime Thursday when I read the woman killed, Kaylie Bailey, effectively was drawn to bad boys, according to family and friends, and that was a key reason she and her toddler daughter, Lana, were at least in a position to be in harm’s way. Lana-Leigh Bailey has been missing since before her mother, Kaylie Bailey, was found murdered in rural Franklin County. 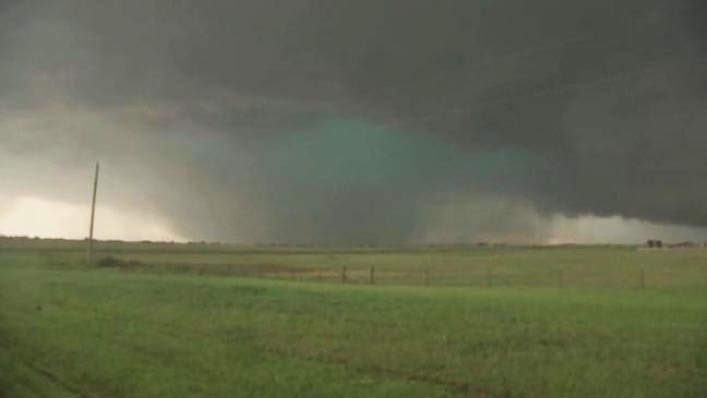 Photo courtesy WIBW-TV. That’s when the case became personal. That’s what has been gnawing at my psyche ever since. I’ve always taken my role as parent very seriously, which means I want not only the very best outcomes for my child but I want her to make the right choices in life to set up those outcomes. Who she hangs out with. What she listens to. Who she listens to. What she filters in — and what she filters out — from us and others about life matters specific and general. The Franklin County triple homicide unnerves me to no end because, well, a parent can do his or her best to guide, cajole, push, pull, plead, threaten, beg, urge, encourage, demand, recommend. In the end, it may matter to the child. It may not. 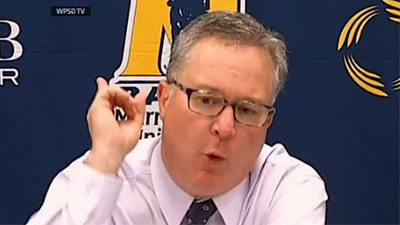 I can only imagine how painful Mother’s Day is going to be for Kaylie Bailey’s parents. I pray that Lana-Leigh Bailey is found alive, although that would be a first-class miracle at this stage of the case. And I pray that when Bella turns 21, the age when Kaylie Bailey was murdered less than 50 miles away, we have done all we can to set up the best outcomes — and I pray for the strength to deal with the consequences if the results of her decisions are far worse. 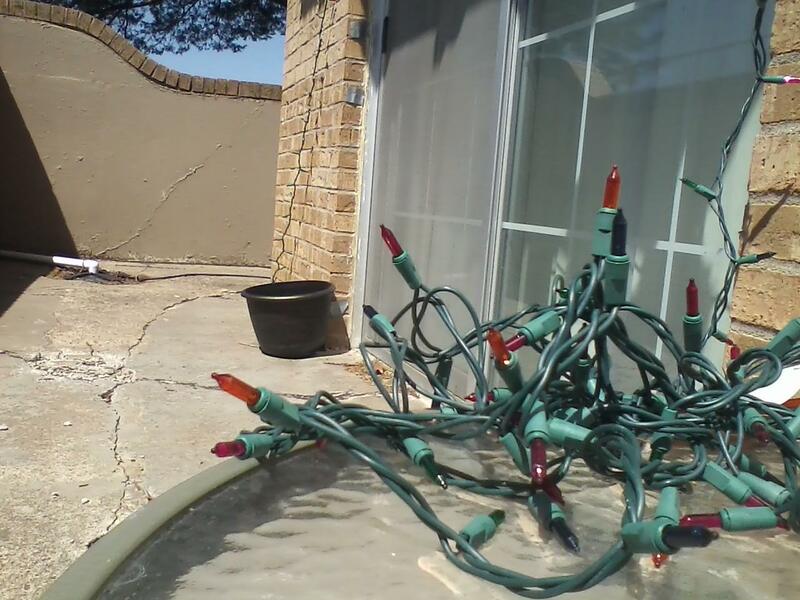 The Christmas lights are down at my house. This is not a cause for celebration or a hey-look-at-me moment. But I’m realizing my thoughts about holiday decorations is changing as I get older. Back in the day — some would say the prehistoric day — I wanted lights up all over the joint. We had several families in a five- or six-block stretch who literally lit up the night sky with lights, wall decorations, displays — you name it, right down to the holiday pink flamingos pulling Santa Claus, some of those folks had it. I wanted something like that badly at our house. Badly. However, as my parents repeatedly told us once Thanksgivings went past and we actually felt unfull enough to go shop, a display like those would likely result in us having a new house…and not because we wanted one. On top of that, a yard display was effectively inviting the lower forms of humanity to pay a visit. So I grumbled and shut up. Until the following Thanksgiving. 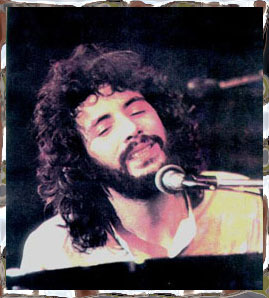 And I resolved when I owned my home, I’d light up the night. I also resolved to have a much better cash flow situation, but that’s for another blog. Fast forward to this morning, when the 2012 Christmas lights were finally tugged down and thrown out. I kept thinking back to a conversation I had with a friend of mine last year, last residence, when he jokingly said I was shooting for Fourth of July lights. That made me think — a lot. Why not have Fourth of July lights? Heck, why not have all-season lights you can just leave up all year? Tape them in place, staple them in place, whatever. Just set ’em and forget ’em…until it’s time for a special occasion. Laziness? Yes, there’s some of that involved. Available time factor? Absolutely. I love Christmas, and I still love decorating for it. As a matter of fact, Christmas and July 4 are really the only holidays I don’t mind spending some time making the dwelling look festive. But even though it really doesn’t take a long time to hang lights, if you’re having a 90-hour work week, well, work tends to bleed into your available prep time. It’s just the way life works. And for that reason alone, for the realization there are other individuals in my same boat, there should be a groundswell of support very soon for the all-season holiday lights. Lighting companies, take note: It shouldn’t take that much to restructure the current light stands for this purpose (and make a fortune in the process). Give us the option of strands: Christmas only or Christmas plus a combination of Halloween, Easter and July 4. Charge us extra for the deluxe package. Design the lights so we can flip a switch and thus have the desired lighting combination at our residences. See? A money-making, time-saving idea all in one shot. And at the end of the day, I can have my home lit up like a Christmas tree. All year long — or whenever I want it.